Some cars were just never meant for American consumption. Sure, Lancia wasn’t known to have imported the most reliable cars to the American market, but who needs reliability when you have a light mid-engined sports car! Apparently a lot of US car buyers in the 70s. Lancia only was only able to sell us 1801 of these gems. After these little two-stroke “ladybugs” arrived on American shores, dealers quickly realized that virtually no one wanted to buy them. In the first year, American dealers were only able to move 332 cars, but over the total number of years that they were imported Subaru dealers somewhat magically arranged for nearly 10,000 360 purchases. That’s still not anything to be proud of. Urban legend has it that after a lack of success with their US-marketing attempts, Subaru’s corporate headquartered issued an order saying that any 360s still sitting hopelessly unsold in the ports of California to be barged off into the Pacific Ocean and left for the fish. Believe what you want to believe. Back in the 1990s there weren’t too many GT cars equipped with Japanese-built flat-six motors, so how could we have taken the SVX for granted? Yeah, it was only available in automatic, but it’s a Subaru! They’re like legos. Do the ol’ drop and plop. Drop the auto out and plop a five speed manual in! It’s like nothing. Though the US was actually the SVX’s best market, Subaru was only able to unload 14,257 of them on American soil over five years of production. Hey, at least they’re cheap now, right? With the E36 318ti, BMW attempted to steal the thunder from other popular low-cost hatchbacks like the Saab 900 and Acura Integra, with its “not-luxurious hatchback produced by a luxury car manufacturer.” Long story short, it worked in Europe, but it didn’t work in America. The Merkur’s poor sales might be blamed on the unusual name, but it also might’ve been that the car was neutered too far from its original European-specification state, the Ford Sierra XR4i. All I know is that Ford was only able to sell about 42,000 of these through its Mercury and Lincoln dealerships. And now? They’re almost nowhere to be found. When the LM002 was released, it had an asking price equivalent to what you might spend on a slightly used Ferrari 458 Spider in today’s market. And this was for a rather odd-looking 4x4 with a V12. Little wonder, then, that Lamborghini only produced and sold about 300 of them. Gifted by the Italians at Italdesign with oh-so-timeless ‘80s wedge styling, built for reliability by the Japanese and fine-tuned by the Brits over at Lotus. So what could go wrong with the Impulse? Maybe its sales numbers. Over the seven years of first generation production, about 68,000 of these were brought into the USA. Which was just a small enough amount to make them impossible to find on today’s Craigslist market. Damn. 2,814 Phaetons. That’s all. American Volkswagen dealers were only able to sell 2,814 Phaetons when the car was on the market here from 2003 to 2007. It might have been an amazing technical showcase for VW, but the Phaeton was slower, heavier and less fuel efficient than its sister car, the Audi A8. And the two were basically in the same price bracket. Unfortunately, it looks like Americans didn’t care so much that you could get a W12 motor stuffed under the hood of something with a VW badge. In fact, that badge may have been the whole reason behind the poor sales. If only we bought FD RX7s when they were new, maybe they wouldn’t still have such a damn good resale value now! Mazda only brought 13,879 FDs to the US out of the 68,000 or so that were produced in total. 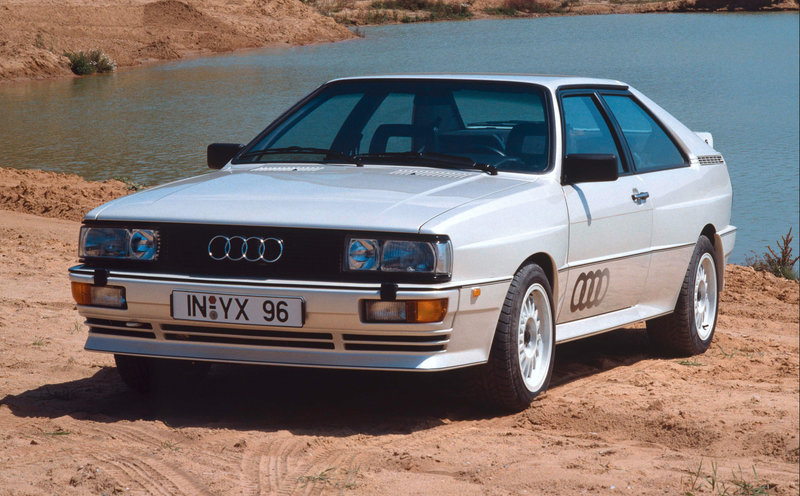 Did Americans hate Group B and awesome street-homolagated rally cars? How about eighties boxed fender flares or German engineering? Well, they must’ve, since Audi imported and sold just a mere 664 Ur Quattros here in three years. Come on! See guys, this is exactly why we can’t have nice things.